Spokane Valley Partners Resource Center is the single location, “one stop shopping” facility for people experiencing poverty in the Spokane Valley. They have a well stocked food bank, a clothing bank, routine medical support and counseling available, utility assistance and job counseling along with other services. IntelliTect is proud to work with Spokane Valley Partners because of the efficient manner in which they serve the neediest people of Spokane Valley. Our employees volunteer their time and talents at Spokane Valley Partners in a variety of ways. We also gave specific financial support to the new community garden being built by Spokane Valley Partners so their food bank has a reliable and consistent source of fresh vegetables. 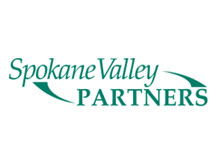 Our community needs the proactive poverty prevention work done by the volunteers at Spokane Valley Partners and IntelliTect is proud to join with them. Together we are making a difference.